A 3 stars Amman Inn Hotel, located only a few steps from Sweifiyeh’s important businesses and vivid shops, offers luxuriously furnished units. 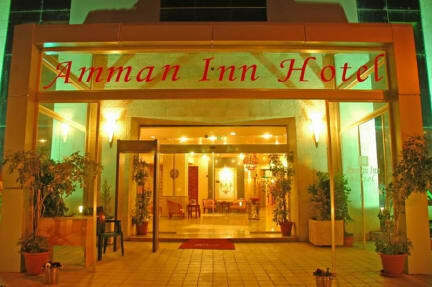 Whether you are a leisure or a business traveler at the Amman Inn you will feel like you never left home! The hotel is located in Amman, in the heart of Sweifiyeh and only a few steps from Sweifiyeh’s important businesses and vivid shops. Queen Alia International Airport Amman is 34 km away from the hotel. 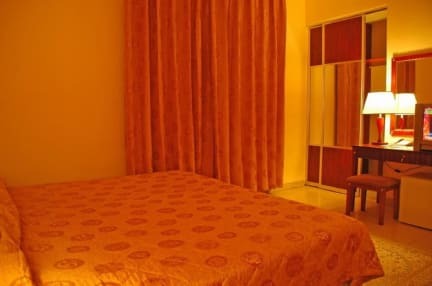 Each room has air conditioning, private bathroom, satellite TV, mini bar, free wireless internet. Philadelphia Restaurant serves the freshest, highest quality food. Our services include multilingual staff, meeting room, business center and secretary service, 24 hours room service, car rental service, indoor parking and car valet, travel and tourism services and arrangements, meet and assist from and to the airport by luxury cars, admission to the gym, free local newspaper, fruit basket upon arrival, VIP treatment with personal attention, wireless high speed internet connections, dry cleaning and laundry service. In case of the Late Cancellation/Early check-out/Non show the penalty in the total amount of reservation will be charged by Click and Book Travel from the provided credit card.